“Told you so!” I croaked to Sal as we approached the stationary freight train. “You said it was a mirage — a goddamn Fata Morgana. Well, ain’t no goddamn mirage.” Sal didn’t have the energy to respond. We were spent, having walked for hours in the desert Sun in search of water or shelter. I touched the train: It was real. But it was also silent and seemed abandoned. 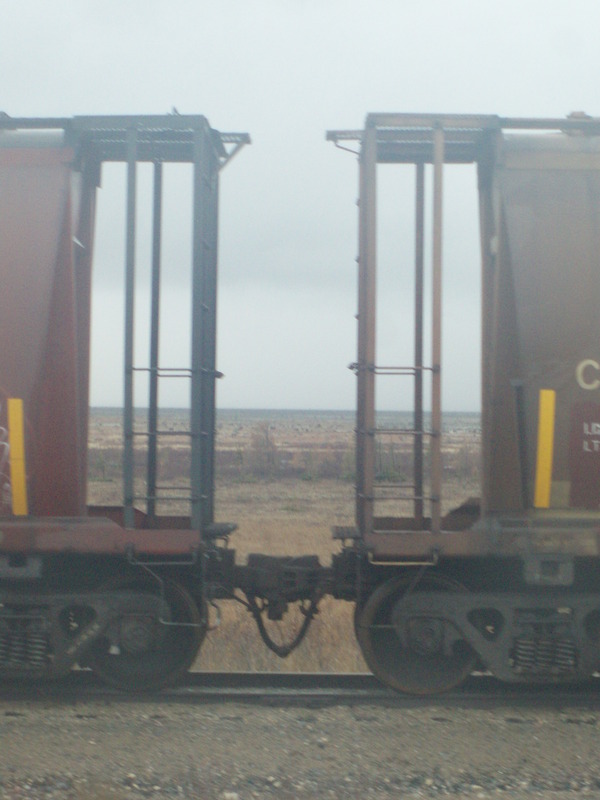 The freight cars radiated like ovens in the desert Sun. They were no shelter. My eyes had no tears to shed as I turned to Sal in dispair. “Sal? … Sal?” He was not there. Great twist ! Nice one! Oh, so interesting. Your story resembles mine in many ways. I always thought the train was very mirage-like. Great story. Oh my…where did he go? Things aren’t looking good for the narrator. Or Sal, if he ever existed. I had the exact same problem this week. Lots of thoughts for stories, no endings. Oh dear! Rather you than me! I think it’s better that we don’t know what’s really happening – I like this story just as it is. Well done. Perhaps trains are like that. There is something about this prompt. A mysterious ending unless Sal was just a mirage too. T’would appear that Sal’s the mirage. Nicely done. The mind can play tricks. Great twist at the end.